Can your law firm give $500? Philip Pyro with donated goods at the council temporary storage facility. Photo courtesy of Good360. Junkuri Laka and the Mornington Island Community Legal Centre is an organisation owned by the people of the Wellesley Islands, providing general legal assistance services in the areas of family law, credit and debt and financial counselling, among other areas. Good360 has enabled them to offer more than legal services to their vulnerable clients. 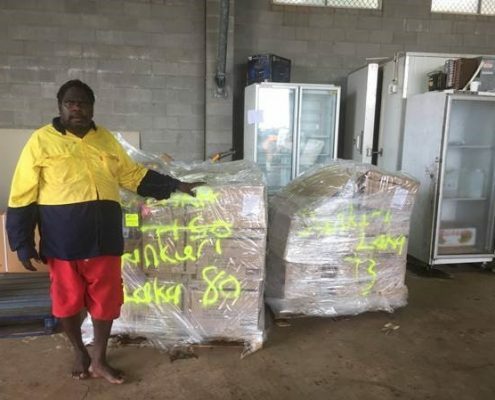 Junkuri Laka featured in Good360’s first quarterly update and have recently made a big order of Lego which will help them with their outreach to Indigenous families with children. As can be seen below, law firm sponsorship of $500 gave this CLC and its clients the benefit of over $13,600 worth of goods – that’s a 2,700 percent return on investment! Good360 is a not-for-profit that facilitates large donations of brand new unsold goods from businesses and distributes them for free to charities and not-for-profits to help Australians in need. In addition to providing much needed support to CLCs, the program has redirected large amounts of high quality excess stock from going to landfill. We ran this story following its launch in 2017. The project was undertaken by the National Association of Community Legal Centres in partnership with the Australian Legal Sector Alliance. Last year, 11 law firms participated in a responsible business initiative which involved sponsoring a pilot group of Community Legal Centres (CLCs) to access the Good360 platform. 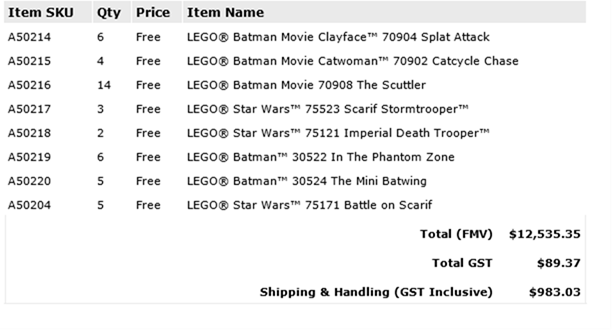 Now that the pilot period has expired, CLCs that wish to continue ordering goods from Good360 are seeking sponsorship from corporate partners to maintain their memberships. 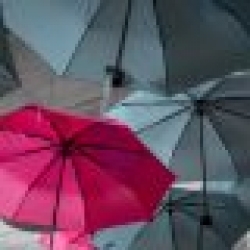 Most of the CLCs have already been sponsored by law firms that participated in the pilot, however there are a few remaining and a few more that would like to join if they can find a sponsor. If your firm or company can help, please contact Natasha Bennett natasha@good360.org.au or Gabriela Christian-Hare gabriela@probonocentre.org.au. 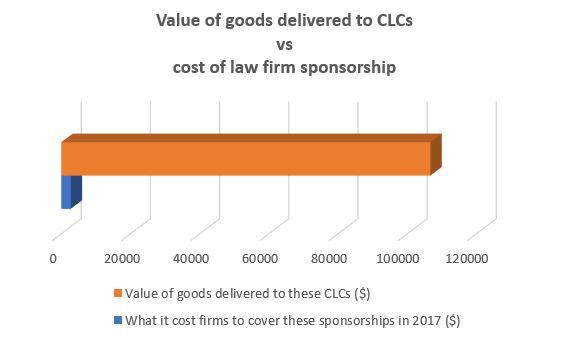 During the 12-month pilot, the nominated CLCs received goods to the value of 39 times the cost of their sponsorships. To sponsor one or more of the eight CLCs, contact Natasha Bennett natasha@good360.org.au or Gabriela Christian-Hare gabriela@probonocentre.org.au. To read more about the Good360 initiative, see this story.